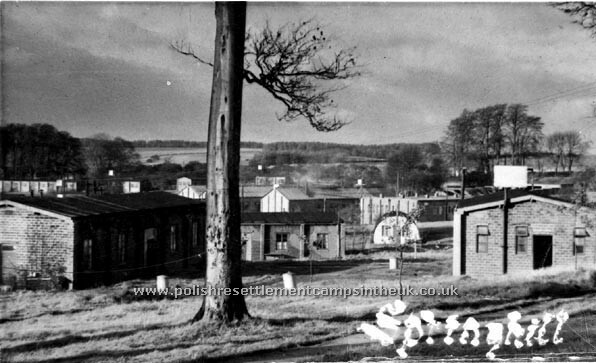 Springhill Lodges camp build in the 1940s as part of the war effort, is listed by English Heritage as Base Camp 185. 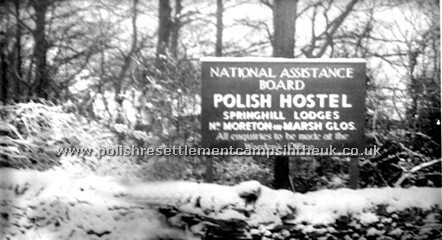 The camp was used to house German POWs during WW2 and subsequently, in 1947, was turned into a Polish settlement administered by the National Assistance Board. 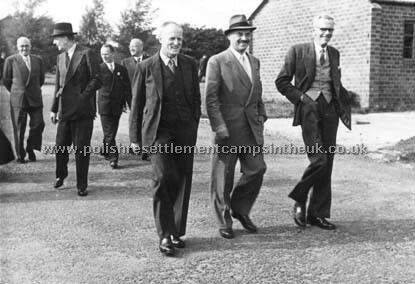 Thank you to Kazik Kapak for the image. 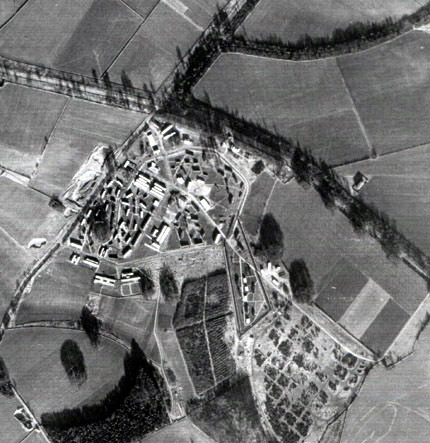 where mostly brick built barracks with just a few corrugated metal Nissen huts. 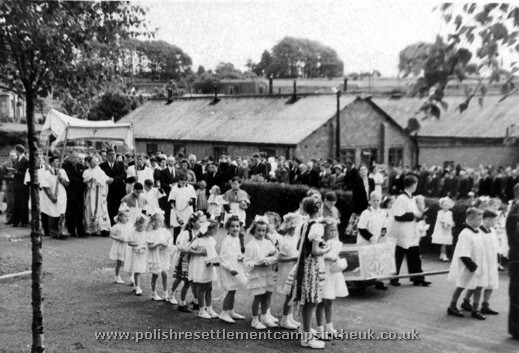 The story of Springhill was no different to any of the other Displaced Persons camps that were scattered though out the UK. 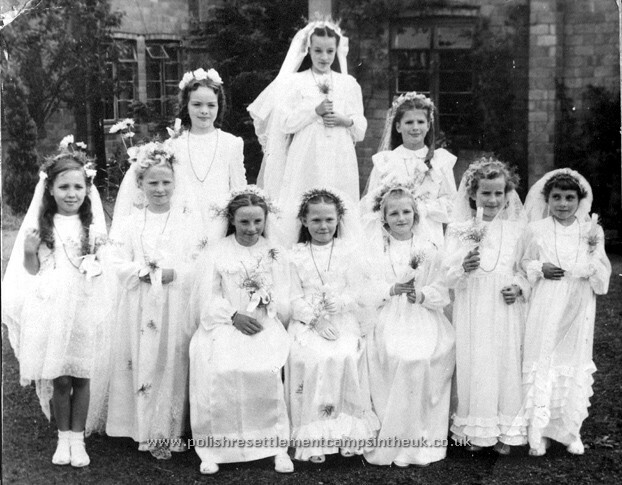 in the 40s and 50s.Life was hard, people worn out by their ordeal, lived as best they could. 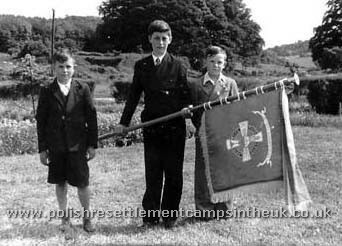 Over the years building tight knit communities and preserving their culture and traditions. 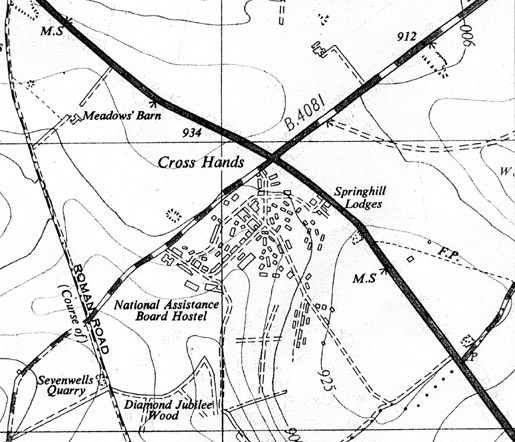 In the early years Springhill had a communal kitchen and dining hall, there was a small school that later moved to Northwick Park. 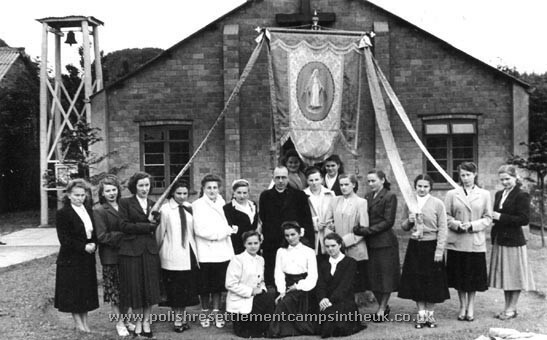 The chapel and entertainments hall being the focal point of the camp. 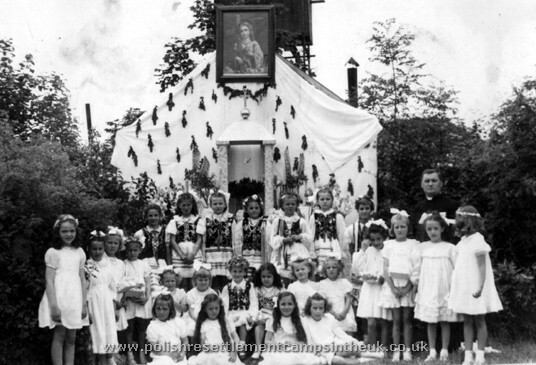 From 1947/8 untill 1953/4 Springhill had a number of priests looking after the spiritual need of the community first there was Fr. Kopeć an excellent violinist. 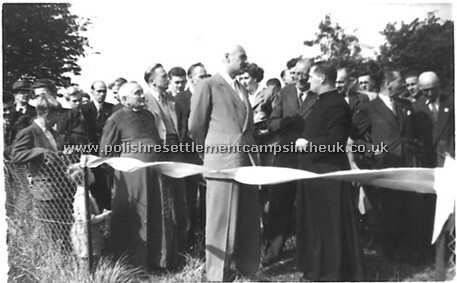 When he left Fr Serafin Potoczny from Northwick Park camp took on a caretaking roll and in 1953/4 Fr. 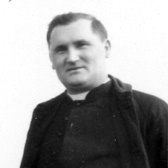 J贸zef Gołąb, who up until then was in Stowell Park school were he tough religious knowledge and looked after the spiritual needs of the students, took up a permanent position at the camp This much loved priest diligently looked after the wellbeing of his flock untill the camp finally closed in 1958. Fr. 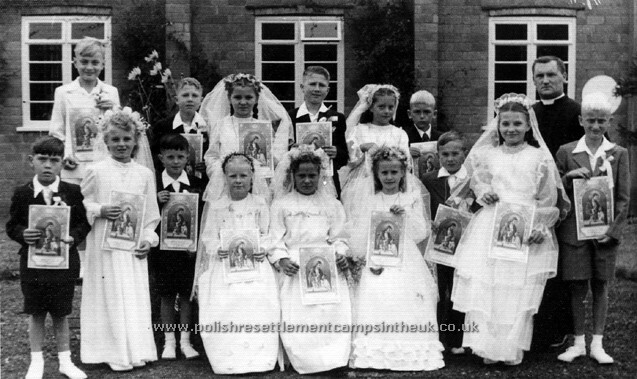 Gołąb moved to Redditch in Worcestershire were he looked after his Polish flock until his retirement in 1998. 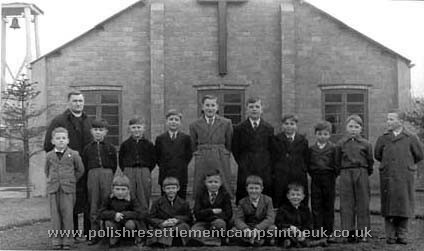 Many of his parishioners had moved to Redditch from Springhill and Northwick camps and knew him well. Fr. 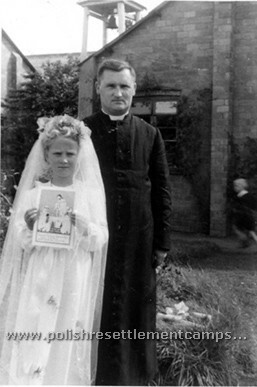 Gołąb died in 2000 and is buried in Redditch Cemetery. Fr. Gołąb was born in Sieradz Poland. 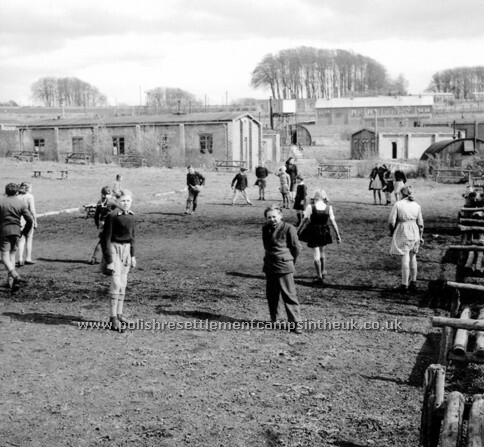 He spent the war imprisoned in the notorious Dachau concentration camp in Germany. 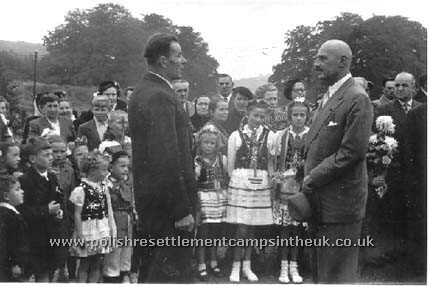 Released in 1946 he came to the UK with the Polish 2nd. corps. 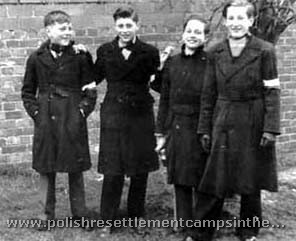 Janek Szyszkiewicz, Czesław Patecki, Marian Zubek, Wacek Zawadzki, Tadek Strach, Janek Bołtryk, Bronek Duduk. 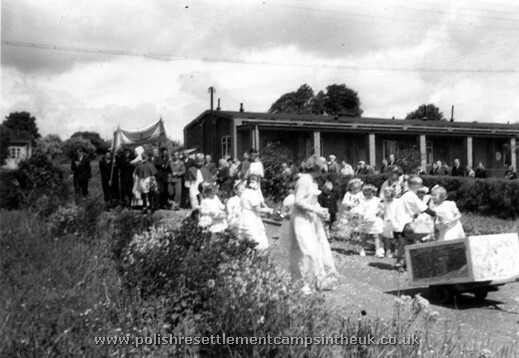 Corpus Christi procession winding through the camp. 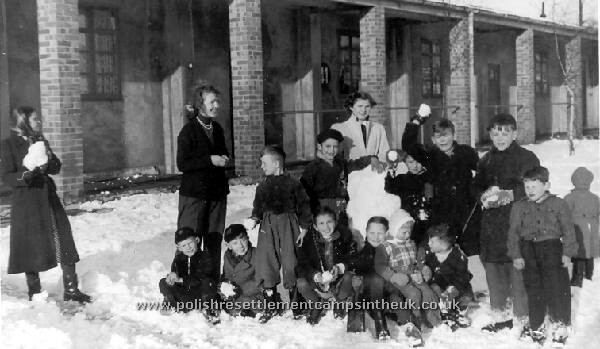 Sitting are:- Janka Papuga, Halina Nikłowiecka, and Stasia Łyczko - 1952. 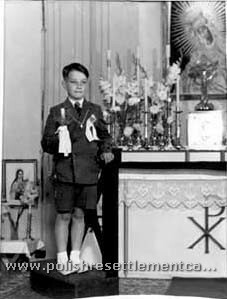 Corpus Christ 1950 At one of the altars. 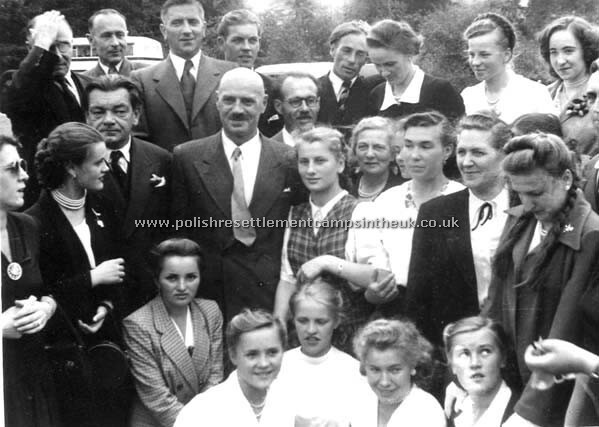 Ula Szwabiak, Jadzia Sawicka, Nena Grosicka, Darak Żuryń, Antoś Starsiak, Andzej Obszynski., others not known. 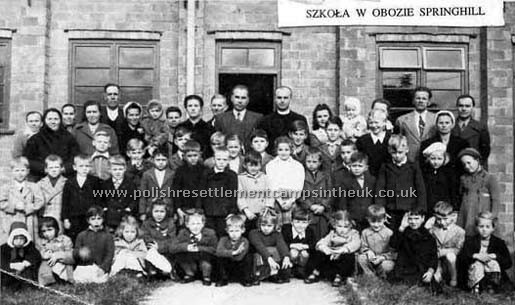 In 1949 a Polish school was opened in the camp with 16 children in attendance. 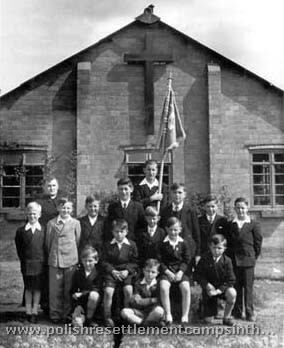 By the the following year with the influx of many more families with children arriving from Africa and India the little school grew in number to around 40, helped by children from Northwick Park Camp who were taken first by taxi and later by bus to Springhill In 1954 the roles were reversed, the school was transferred to Northwick Park Camp and the children from Springhill were bused by George Rouse busses. 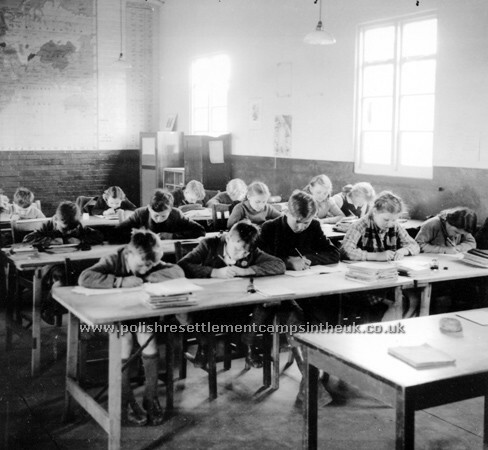 1949 One of the classrooms. 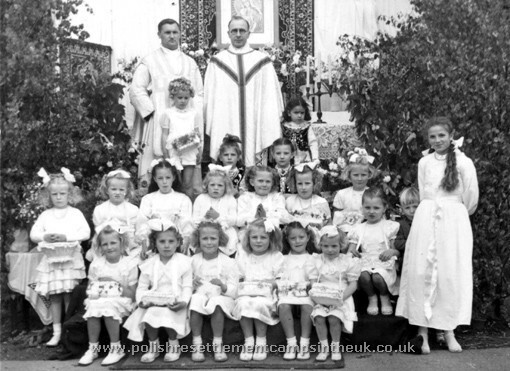 Children from both Springhill and Northwick Park1950 with parents, Fr. Potoczny and headmaster Mr. Waniewicz. 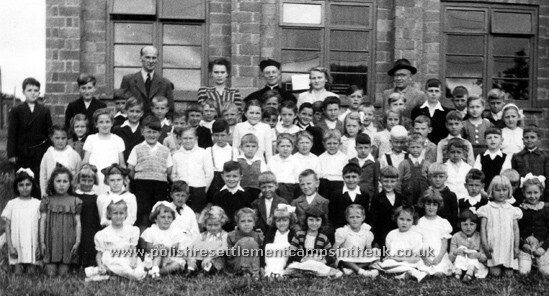 Children from both Springhill and Northwick Park1951 with Fr, Siemaszko headmaster Mr. Gilson and teaching staff. 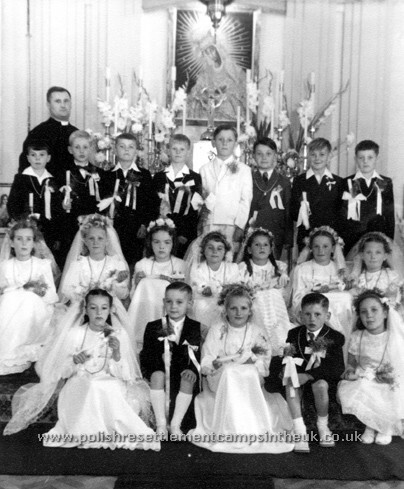 Romek G贸rdak, Stach Bałdowski, Marysia Flondra, Janek Szyszkiewicz, Kazik Kapak, Dziunek Kiczma, Edmund Balawajder, Marian Zubek, Janek Bołtryk, Rysiek Sarul, Janusz Remizo, Krysia Stawiarska, Boguś Poważa, Stachu Łapinski, Władek and Antek Lichtar, Kazia Liniewicz, Danka Borowska. 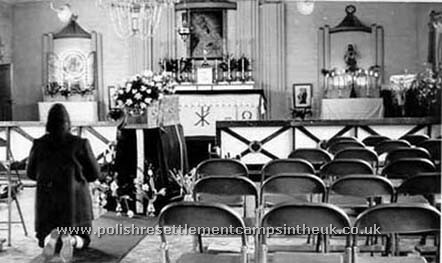 Left;- 1953 Waiting for General Anders. Right;- Welcoming the General. 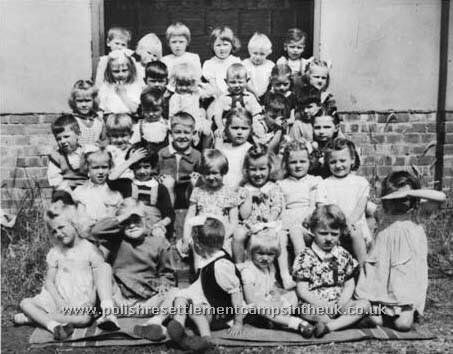 Some of the names on the photo. 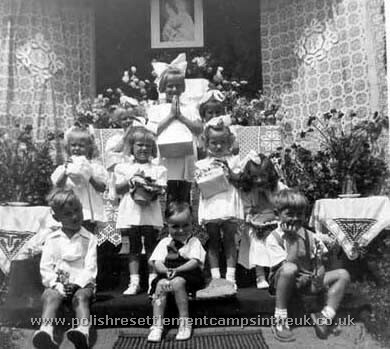 Mr. Szyszkiewicz, Danusia Remizo, Mrs. Grosicka, Jadzia Sawicka,Andzej Obszyński,Krysia Wierzynska, Me Ula with the flowers, Mrs.Szwabiak Mr. Bedryjowski with daughter Basia. What a photo! enough facial expressions for everyone. 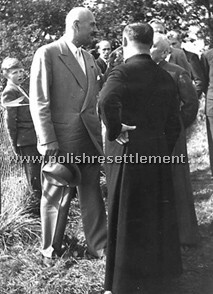 General Władysław Anders surrounded by Happy people from the camp. 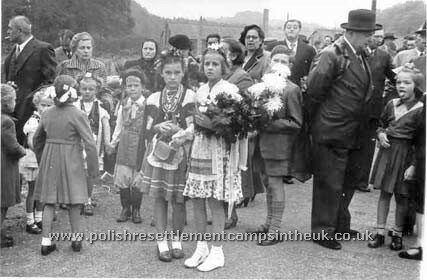 Known names:-Mr. Pawlak, Romek Ażgin, Mr. Szydłowski, Bronia Sawicka, Basia Staniaszek, Stasia Morek, Jadwiga Biegus, Janka Sarnecka, Mr. Lewicki, Mr. Żelazny, Halina Staniaszek, Eugenia Grosicka, Halina Żelazna Mrs. Ażgin, Lodzia Nowakowska, Halina Nikłowiecka, Janka Papuga, Marysia Papuga, Lodzia Szczęsna and Władzia Papuga.